I have a lot of interests. Storm chasing is high on the list. So are writing and photography. 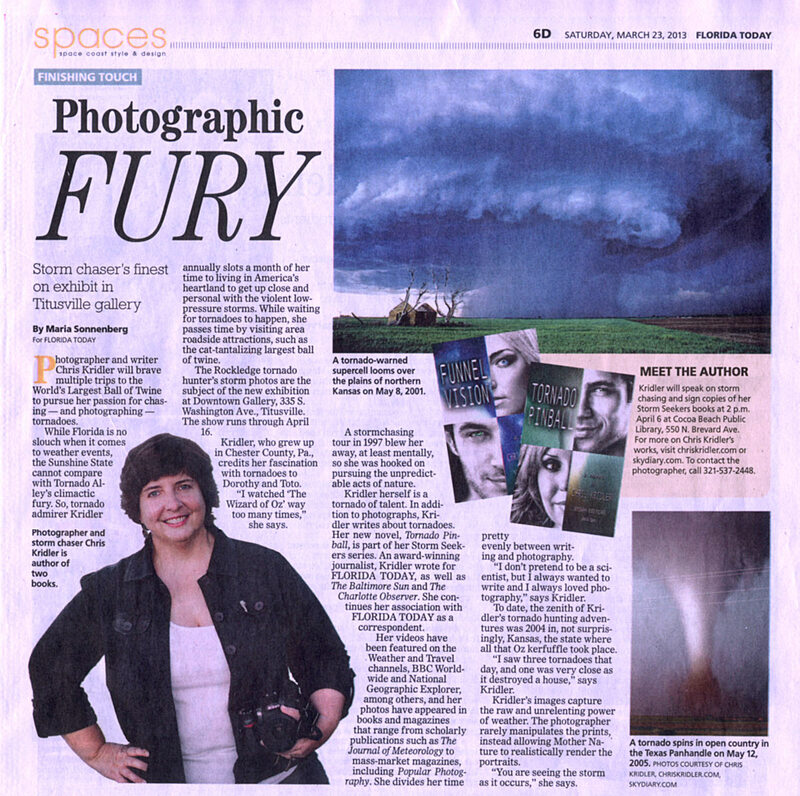 And one of the subjects I get to pursue as a photographer living on Florida’s Space Coast has to do with the sky, but not so much to do with storms: launch photography. 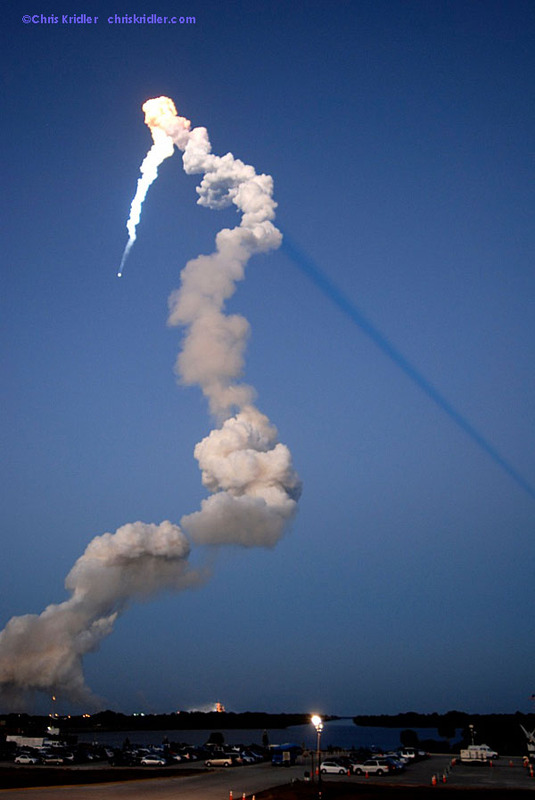 “Spaceport U.S.A.” by Chris Kridler depicts the launch of an Atlas 5 rocket with a GPS satellite on Aug. 1, 2014, as seen from Port Canaveral. 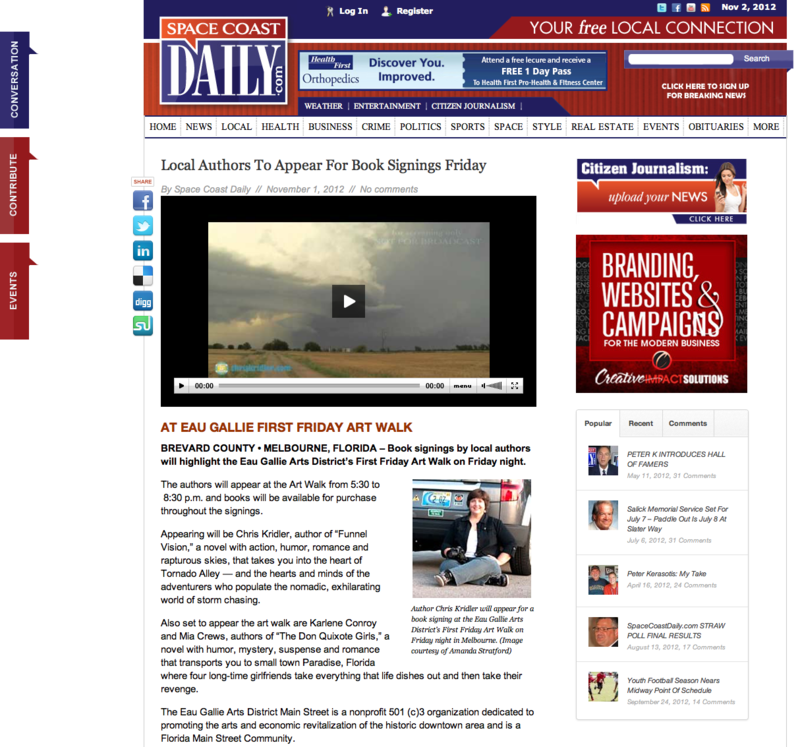 You can catch some of my launch photos in a show opening at Rocket City Retro this weekend. The reception starts at 7 p.m. Saturday night at this mid-century-modern furniture and design hub in Cocoa, Florida. You’ll also see a whimsical piece, with a silver finish on aluminum, that I call “We Will Use You For Parts” (above). The toys come from my collection of wind-ups. 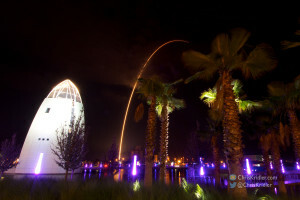 I have some old launch photos on my quaintly HTML Sky Diary storm chasing site, but this show will feature some newer ones, including “Spaceport U.S.A.,” shot at Port Canaveral and presented on aluminum. 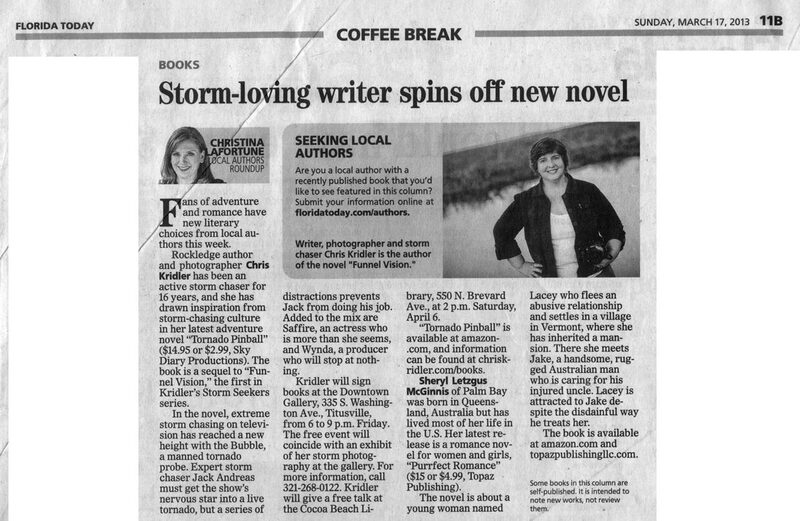 I’m a freelancer now, but I covered space for about four years for Florida Today, and I still get jazzed about a launch. Come on out to the show and say hi! If you can’t make the party Saturday, the art will hang through the end of April. 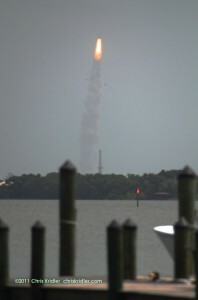 I didn’t have a special view of Atlantis’ final launch today -it was from Cocoa, and hindered by haze and a deck of clouds. But it still had that import of history, and a tear came to my eye when I heard shuttle launch director Mike Leinbach wish the crew well as he bid farewell to the shuttles. 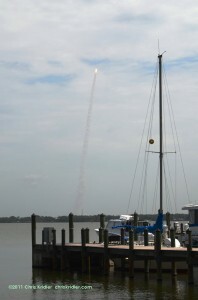 The mission is still ahead, but Kennedy Space Center has launched its last orbiter. The crowds came out by the thousands to wish it well – and now a lot of them are driving home. I can’t grasp that the shuttle program is actually ending, even though we’ve all known it’s been coming for a long time. Atlantis is due to launch this morning, though weather is likely to be an issue. And then it will come home, if all goes well, for a permanent berth at Kennedy Space Center Visitor Complex. I covered space for four years and was completely immersed in the shuttle program. I haven’t retained the level of detail I knew then, but it was a huge part of my life. I was awed by it, then dismayed after the heartbreaking Columbia accident, but always impressed by this technological colossus and the people who put it together. They’re the ones who have made history. Chris Kridler is an award-winning journalist, a photographer whose images have been featured in magazines and on book covers, an editor with extensive indie publishing experience, and a videographer whose work has appeared in numerous television shows. 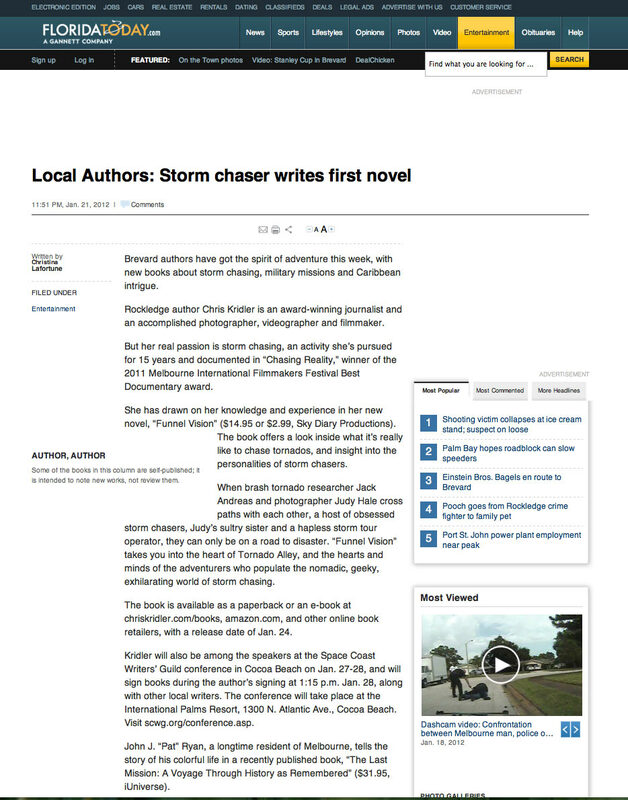 She is also a writer of fiction and a storm chaser whose chase accounts can be found at SkyDiary.com. 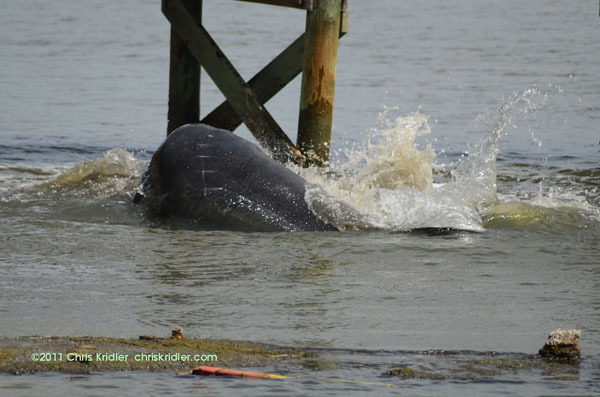 She works in Brevard County, Florida, or anywhere her travels take her. 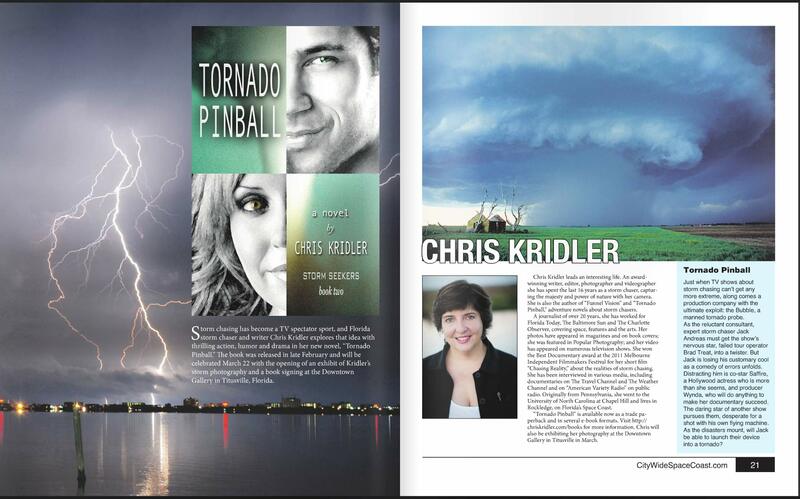 Chris Kridler is available for interviews, talks, conferences and book clubs and can discuss storm chasing, tornado and lightning safety, weather photography, writing, self-publishing, and the Storm Seekers novels Funnel Vision, Tornado Pinball and Zap Bang. > Taleist: Why have fans when you can have friends?